If you’re strapped for cash, just don’t have any, or are saving up, here are a few things to do in Delhi for free. They don't cost a thing. Just like JLo’s love. Bangla Sahib dishes out about 10,000 meals a day, all of which finish with the incomparable Kara Prashad. If you can’t make it to central Delhi, there are gurudwaras across the city that offer a similar experience. The American Centre, Italian Cultural Centre, Japan Foundation, India Habitat Centre, and Instituto Cervantes regularly hold film screenings, talks, and seminars that are, more often than not, free for all. Since it’s on a first-come-first-serve basis, all you have to do is get there on time. Working towards making Delhi a cycle-friendly city, it doesn’t need anything but a cycle and the will to join them. With over 10,000 members, all you have to do is contact Delhi Cyclists via their Facebook group and ride away. The ceremony itself was inaugurated at Rashtrapati Bhavan in 2012, and now has become accessible to the public. It takes place every Saturday, and all you need is a photo ID. National pride is not only for national holidays, ya know? Try India Habitat Centre, National Gallery of Modern Art, Espace Delhi Art Gallery or Vadehra Art Gallery for collections of the finest artists, exhibitions and installations. Pencil Jammers is an open community for those who love to draw. They regularly conduct events, jams, contests and sessions that are open and free to all. None of the city’s religious centres in Delhi charge any kind of fee, although they do encourage donations. 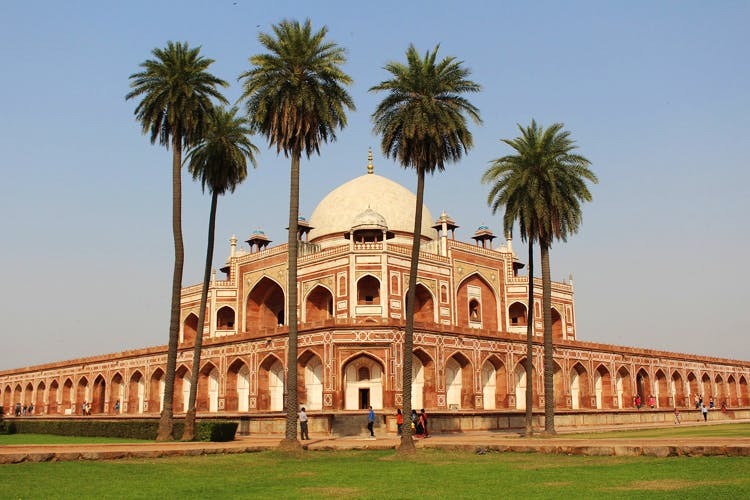 Bookmark the Lotus Temple, Jama Masjid and the Nizzamudin Dargah. Take a look at the birds and the bees with plenty of fauna at Sector 52, Gurgaon. Entry is free in the mornings and evenings; perfect time to take a walk in the park. You’ll be happy to know the NDMC has set up open air gyms in and around the city available to use for free. You'll find some of those at Lodhi Garden and Nehru Park! Since most of the museums in the city are government-funded, you can just walk in and take a look, though some of these do have nominal ticket charges. Gandhi Smriti, National Police Museum, the Philatelic Museum, Airforce Museum and many more like them are just waiting to be discovered. The Delhi Public Library, Shastri Bhavan and the Archaeological Survey of India are all free of charge, if you want to access some books and material. For more info, read our library guide here.